Huawei has announced their latest Android phone – Honor 6 Plus. If you’re interested in large screen or dual-lens camera, let’s go on checking the new smartphone. Huawei Honor 6 Plus is a high performance large-screen smartphone that measures 150.46 x 75.68 x 7.5mm. The Android phone is powered by Huawei HiSilicon Kirin 925 octa-core processor and comes equipped with 3GB RAM, 32GB internal storage with a microSD card slot supporting up to 128GB and a 5.5-inch FHD display in order to bring you smooth and comfortable entertaining and operating experience. 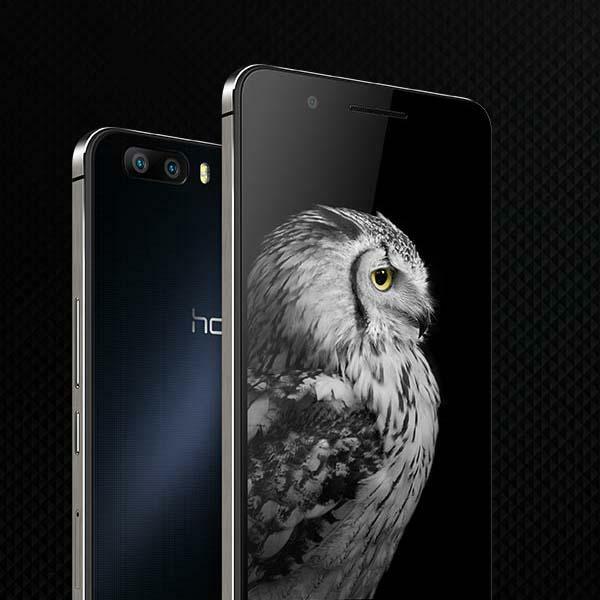 Moreover, Huawei Honor 6 Plus also features a unique dual-lens rear camera with 8-megapixel BSI sensor and f/0.95-f/16 aperture for capturing fantastic photos, and other specs also include 8-megapixel front-facing camera, optional dual SIM model,3600mAh rechargeable battery, NFC, and OTG. Huawei Honor 6 Plus Android phone is priced at ¥1999 RMB (approx $322 USD), but no words about sale in other regions at present. If you’re interested, jump to Huawei official site for more details.